Let your legs talk! These unique barbed wire mantyhose by Emilio Cavallini are a fun and original fashion statement to complete your outfit. 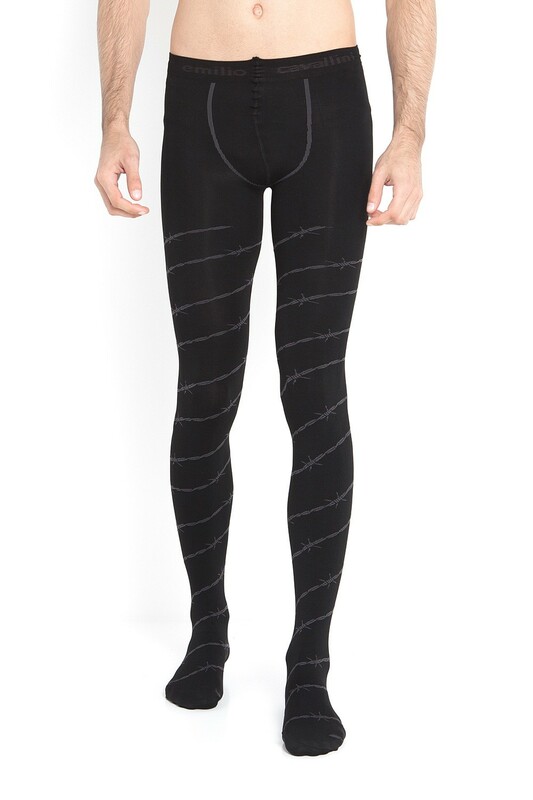 Wear these ultra-comfortable men's tights featuring a spiraling barbed wire design under a pair of shorts for a jog in the park, or pair them with knee-length trousers and casual shoes to achieve a stylish street-style.